When roads, bridges, and highways are negligently allowed to reach a state of disrepair, local and state government offices can be held responsible when those dangerous public areas cause accidents and injuries. In a recent case before the Second Department of the New York Appellate Division, the judges looked at who might bear responsibility when a road was damaged by a private contractor, hired by a government office. The case in question, Morris v. City of New York, was based on a Brooklyn bicycle accident. The plaintiff, Larry Morris, was riding his bicycle on Brooklyn’s Park Place. His bike hit a hole in the road, resulting in an accident that left him injured. Morris filed suit against the parties he believed to be responsible for his injuries, which included the utility company Consolidated Edison (ConEd), Keyspan Energy Delivery New York, a private paving contractor, a private excavation contractor, the City of New York, and a private sewer contractor. Morris claimed that these companies were responsible for his injuries by creating a hazard in a public place. Each defendant aside from the City filed a motion for summary judgment to dismiss the plaintiff’s lawsuit, but the trial court denied their motions. The defendants appealed. The Appellate Division affirmed the trial court’s decision, ruling that Morris could continue to pursue his claim for damages against the defendants. 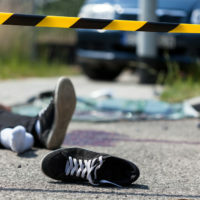 The Appellate Division ruled that, should a private contractor negligently create or allow a hazardous condition to form while doing construction work on a public street, that contractor can be held liable for any costs arising when someone is injured by that condition. This responsibility of private contractors is not unlike the liability borne by municipal or state agencies that create hazards in the road as a result of doing construction nearby. The judges pointed out that, in order to dismiss such a claim for damages, the companies would need to prove that they had not done any work at the location where the victim was injured, or that they had not created the hazard that injured the victim. The Appellate Division held that the defendants had been unable to prove either of these. Keyspan had argued in its motion that the hole into which Morris’ bike fell was open and obvious, such that Morris should have easily noticed it and avoided hitting it. However, the court found that Keyspan failed to present enough evidence that the hole was open and obvious, and denied all defendants’ motions to dismiss. If you’ve been injured as the result of a dangerous condition in a public street or while riding New York public transportation, contact the dedicated and effective New York personal injury lawyer Leandros A. Vrionedes for assistance with your claims, in Manhattan at 212-889-9362, or in Queens at 718-777-5895.